Good news to all Kimxi fans! It’s an early Christmas gift for you as Star Cinema proudly presents the romantic comedy film of the season, “Past Tense”. 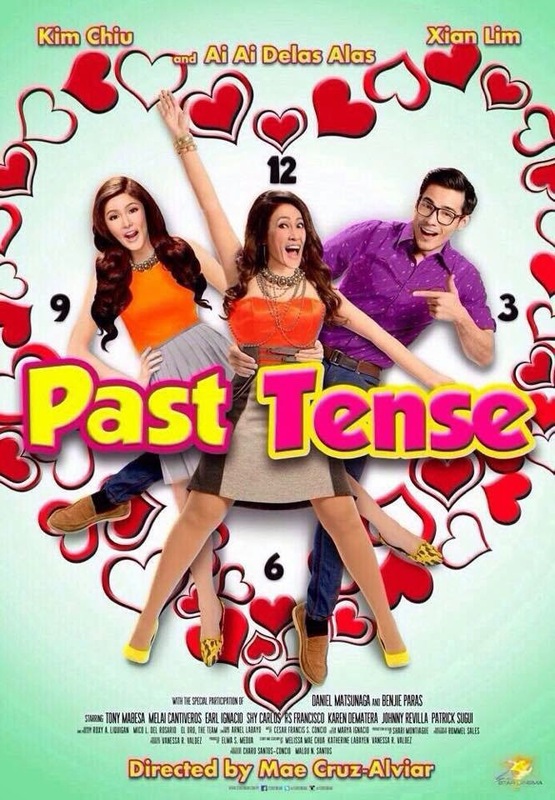 Following their success on “Bride for Rent” the two will be offering their second movie this year which is “Past Tense”. Starring alongside Kim Chiu and Xian Lim is Ai-Ai Delas Alas. This would be the anniversary movie of Ai-Ai Delas Alas as she celebrates her 25th anniversary this year. The movie will be directed by no other than Mae Cruz-Alviar, the same director as “Bride for Rent”. “Past Tense” will be the last offer of Star Cinema for their anniversary and it will be their closing 20th anniversary movie. What if time travel is possible? Will the present correct the big mistake of the past? “Past Tense is a story about a girl, which is Belle, who wakes up from a coma after 20 years and then she realizes that she is not happy in her present life. ‘Present’ Belle (Ai-Ai Delas Alas) will be given a chance to change everything. She will travel through time to correct the wrong decisions she had made from the past. ‘Past’ Belle (Kim Chiu) has a best friend that is named Bobby Tuazon a.k.a. Babs (Xian Lim). Babs is a really big guy and he has a very low self-confidence. He is the laughingstock of their school maybe because of his body figure. Babs is in love with her best friend Belle but she was rejected by Belle. Until, ‘present’ Belle appears in the past, ‘present’ Belle will be helping Babs to be a better person and to pursue her past self. Will she finally get it right the second time around? Catch “Past Tense” on November 26, 2014 in cinemas nationwide.